Located in Georgetown, Baymont by Wyndham Georgetown/Near Georgetown Marina is in the historical district, within a 15-minute drive of Rice Museum and Pawleys Plantation. 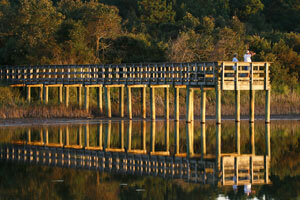 This hotel is 12.2 mi (19.6 km) from Litchfield Beach and 31.1 mi (50 km) from The Market Common. Make yourself at home in one of the 61 air-conditioned rooms featuring refrigerators and microwaves. Your room comes with a pillowtop bed. 25-inch LED televisions with cable programming provide entertainment, while complimentary wireless Internet access keeps you connected. Private bathrooms with shower/tub combinations feature complimentary toiletries and hair dryers. The preferred airport for Baymont by Wyndham Georgetown/Near Georgetown Marina is Charleston, SC (CHS-Charleston Intl. ).